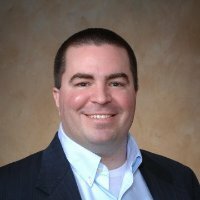 CHICAGO, IL--(Marketwire - Nov 1, 2012) - Global Capacity, the leading telecommunications information and logistics company, announces the addition of Ben Edmond as Chief Revenue Officer. In this role, Mr. Edmond will be responsible for all aspects of Global Capacity's revenue generation including sales and marketing. "We are extremely pleased that Ben has agreed to join the Global Capacity executive team," comments Jack Lodge, President of Global Capacity. "Ben's strong leadership and successful track record in customer relationships and profitable revenue growth will be a welcome addition to Global Capacity as it enters its next phase of growth." Mr. Edmond has more than 15 years of experience in the telecommunications industry with a progression of sales, marketing and leadership experiences. Mr. Edmond joins Global Capacity from FiberLight, Inc. where he served as the President of Sales and Marketing. "I am excited to be joining Global Capacity," said Ben Edmond. "Global Capacity has become a market leader by providing innovative access network solutions to extend our customers' reach, economics and network performance. I look forward to continuing to broaden our customer base and enable customers to leverage One Marketplace automation and connectivity to build private networks that enable them to extend their reach in this historically fragmented market." To learn more about Global Capacity and its automated marketplace for access network solutions, One Marketplace Access Exchange, visit www.globalcapacity.com or follow Global Capacity on Twitter @global_capacity. Global Capacity is a telecommunications information and logistics company that improves the efficiency and reduces the cost of access networks globally. Through its One Marketplace Access Exchange, the Company brings together customers and suppliers in an automated platform that provides ubiquitous access network solutions. Global Capacity delivers its innovative solutions to Purpose-Built Integrators, Telecommunication Carriers, Managed Service Providers, and Enterprise Customers globally. Additional information can be found at www.globalcapacity.com or follow Global Capacity on Twitter and LinkedIn.